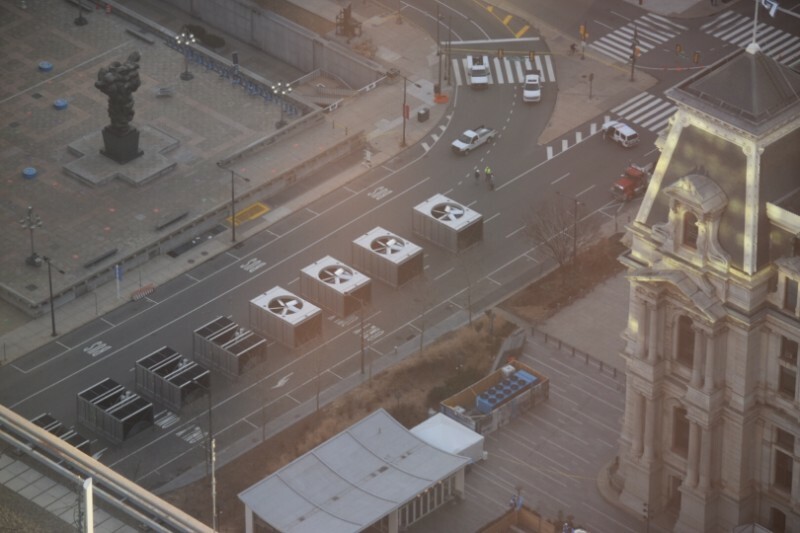 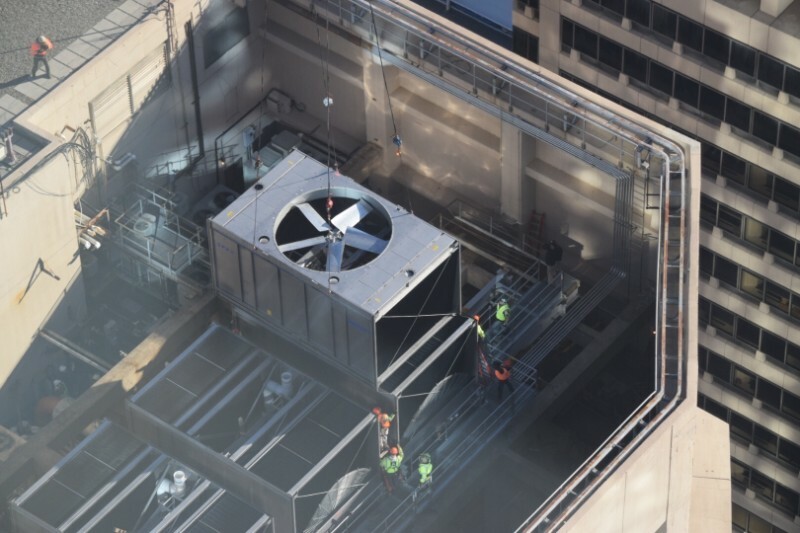 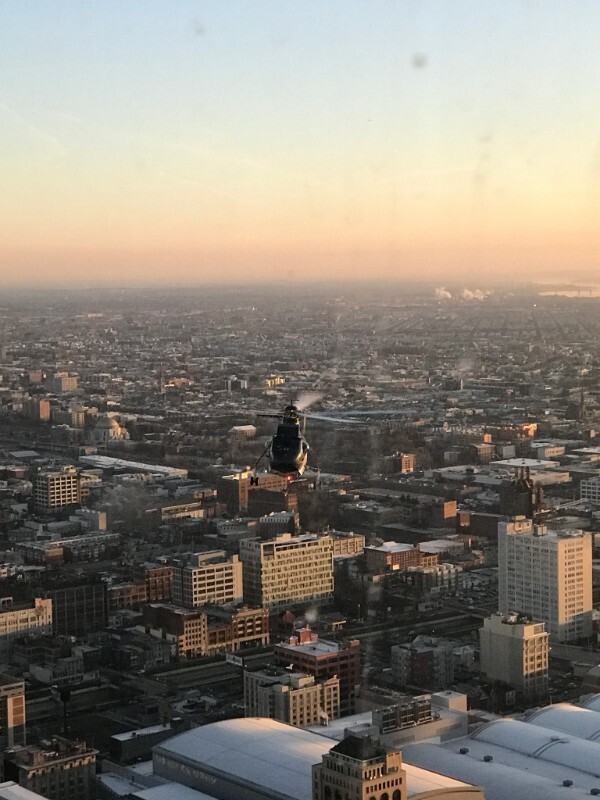 Herman Goldner Co. finished a complete cooling tower replacement in 2018 for Centre Square, the tallest office building in Philadelphia. 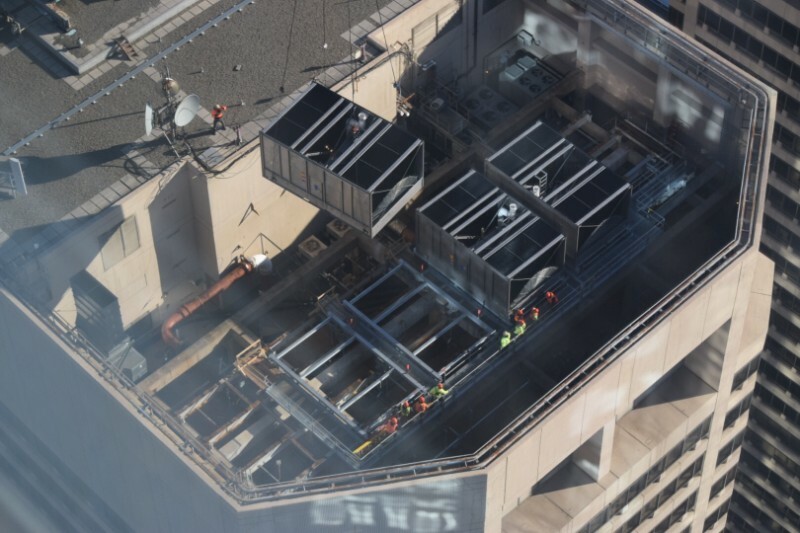 The building’s 40+ year-old wooden cooling towers were past their useful life and leaking, causing an inability to cool the entire building. 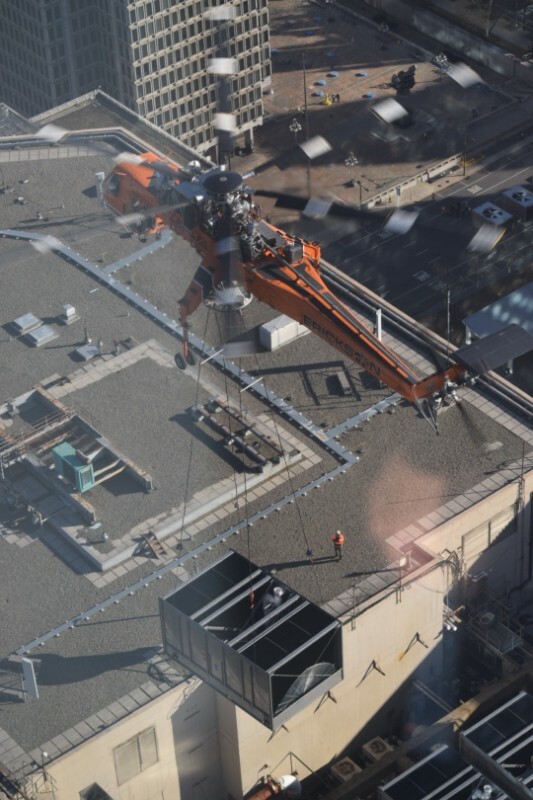 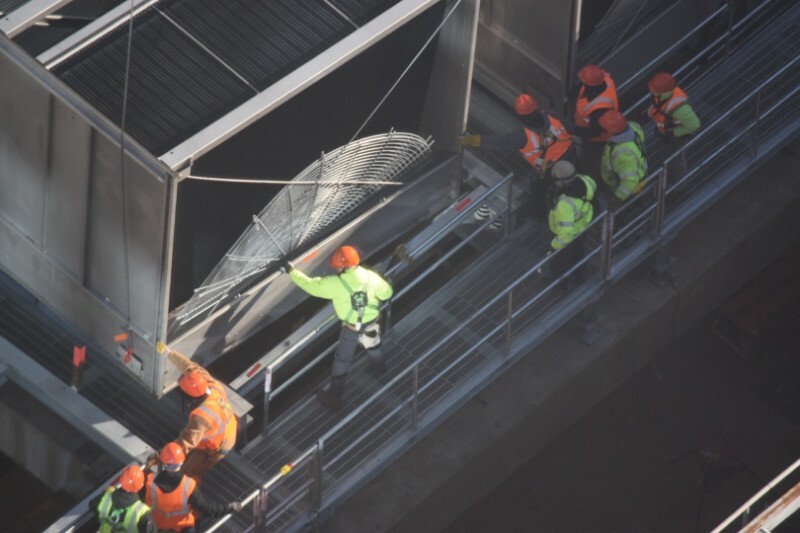 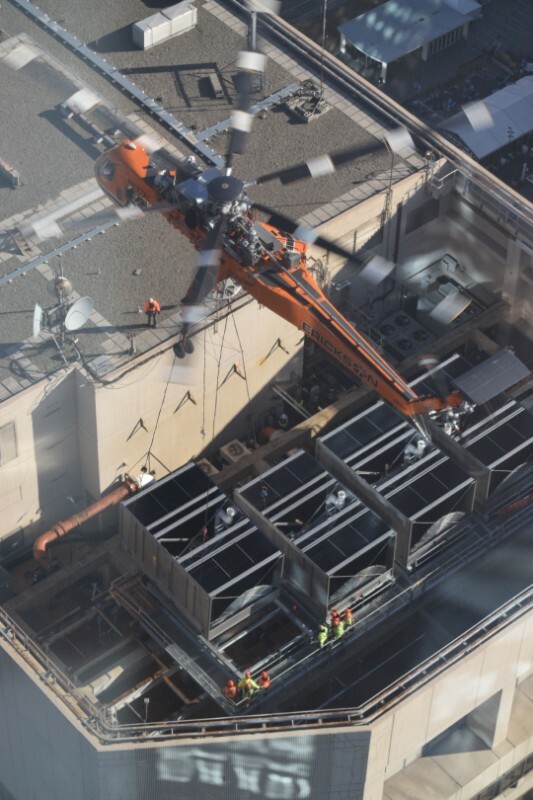 The project required the use of a helicopter to lift the new cooling towers to the roof. 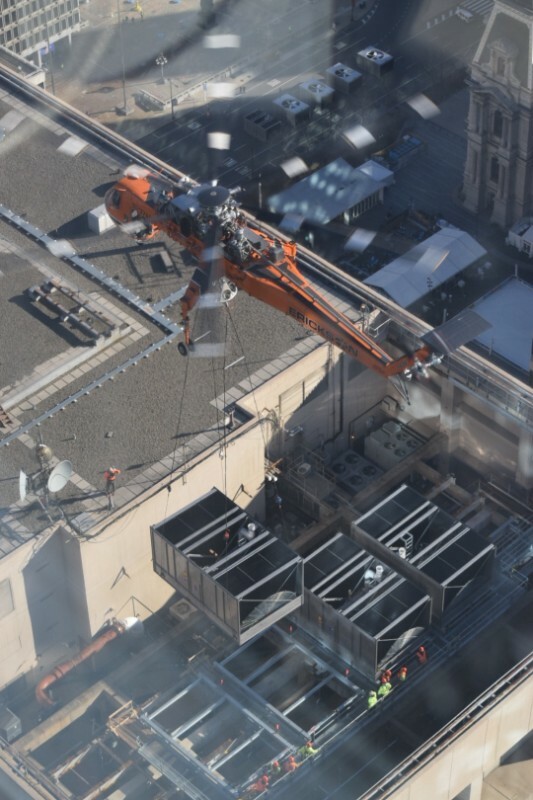 The replacement tower will lead to a reduction in water and energy usage for the building and its tenants. 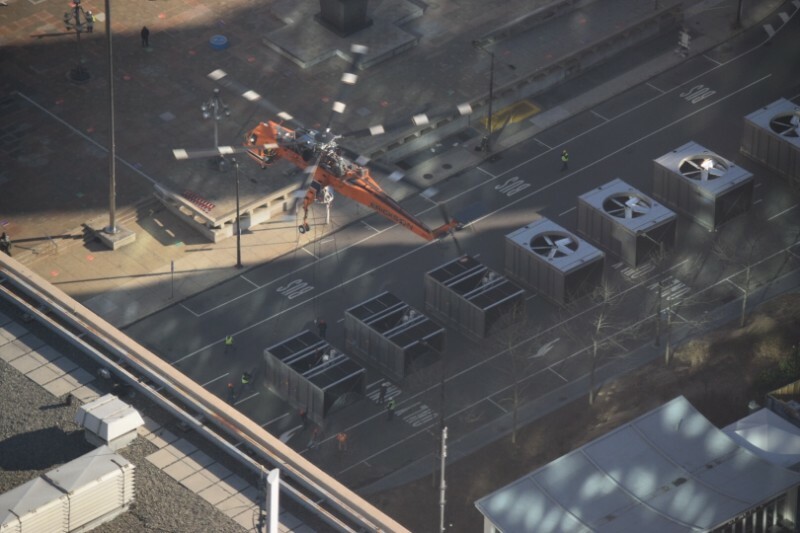 Centre Square’s existing cooling towers were slowly falling apart, leaving no option but to do a complete replacement. 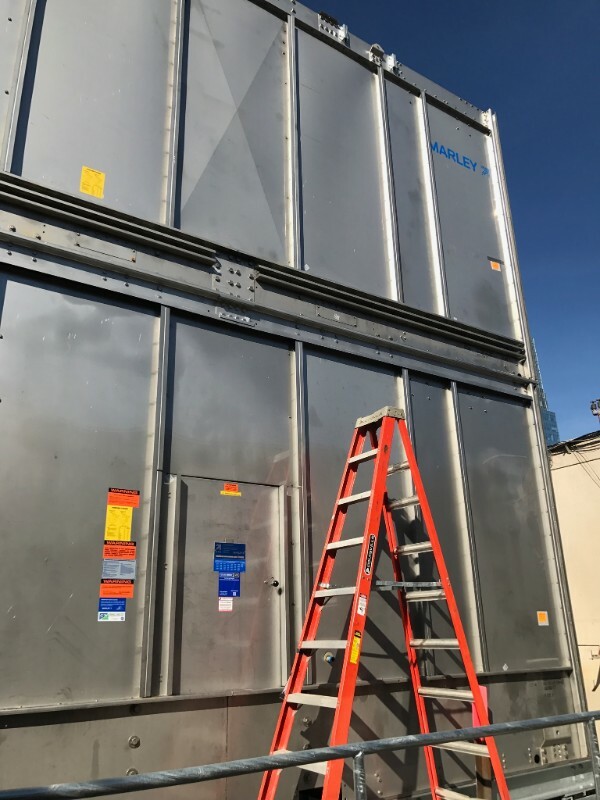 Goldner opted to use high-efficiency, stainless steel, high-end cooling towers by SPX Cooling Technologies for the replacement units. 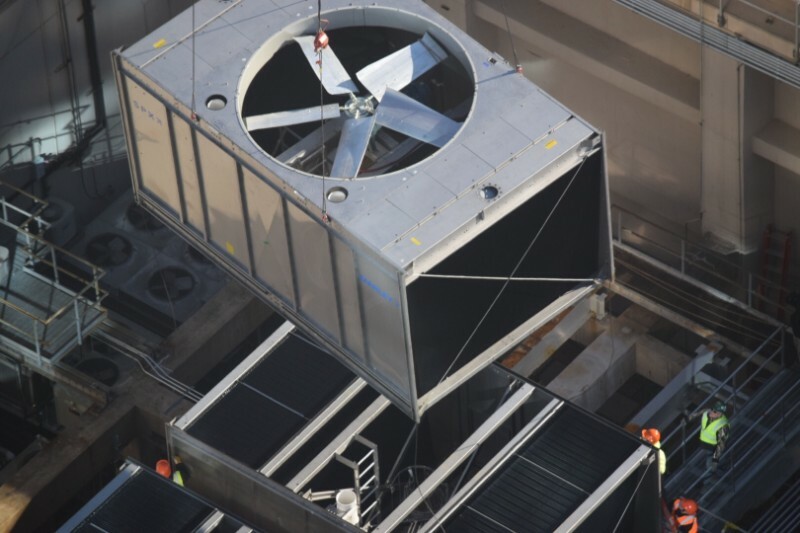 This state-of-the-art cooling technology aims to provide tenants comfort and save them money by being more reliable and reducing their water and energy usage. 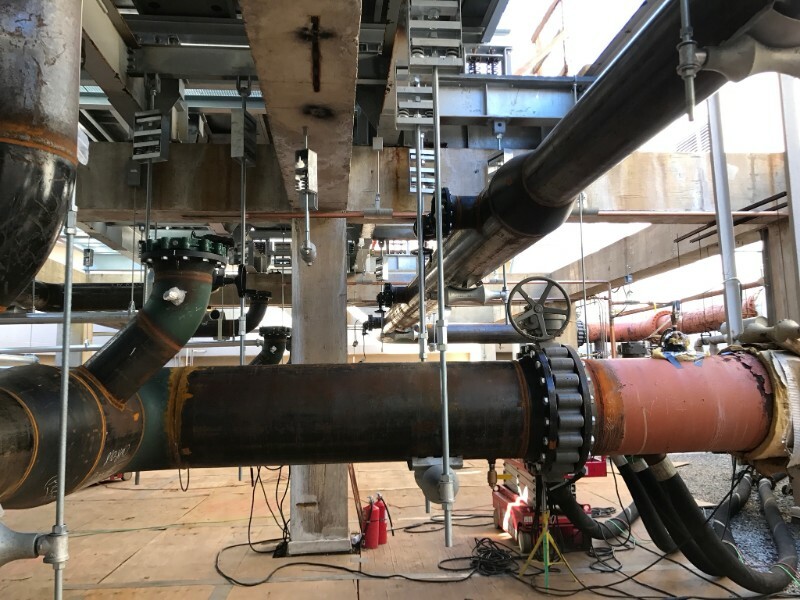 The crossflow-style tower that was selected allows for built-in redundancy, extra capacity for future expansion, and variable flow operation. 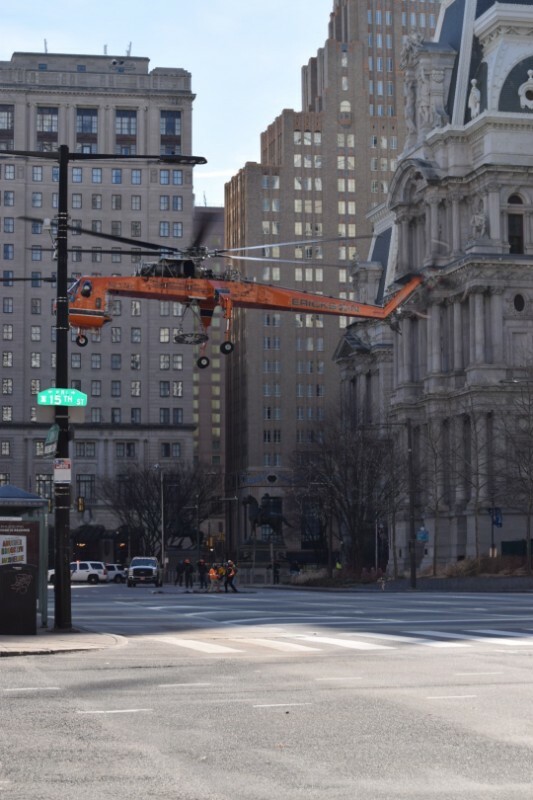 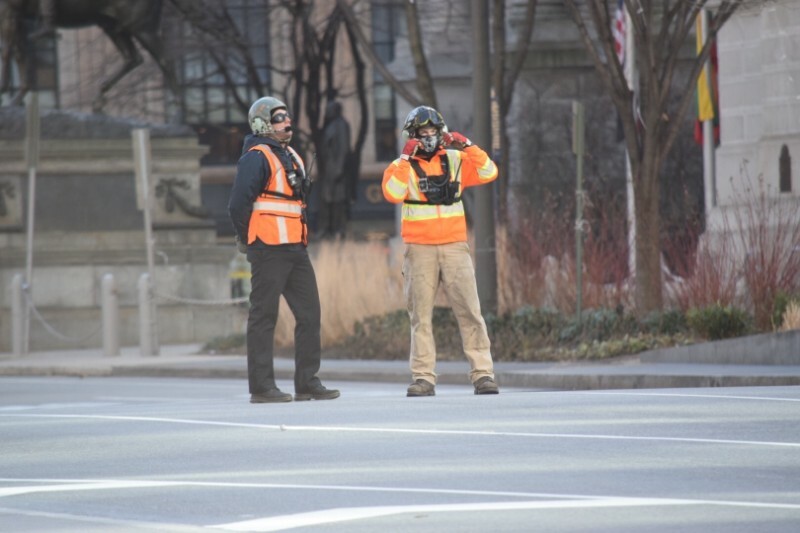 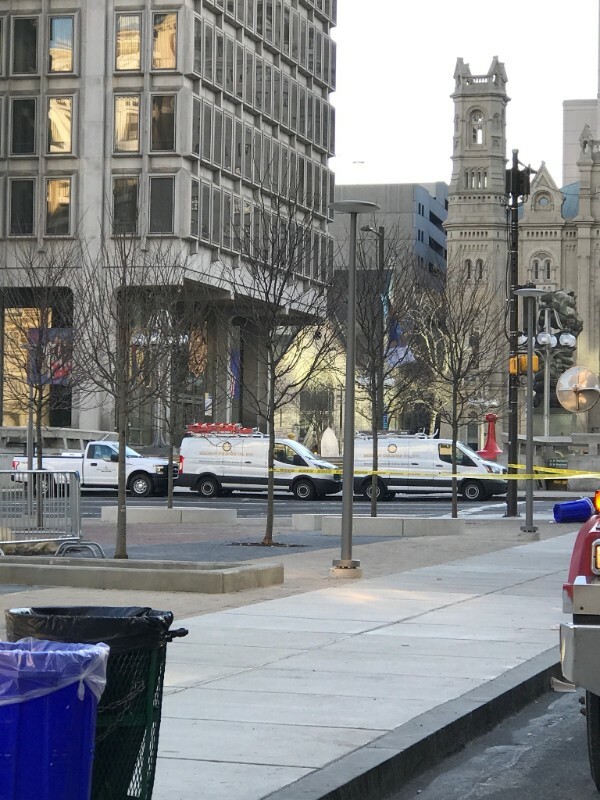 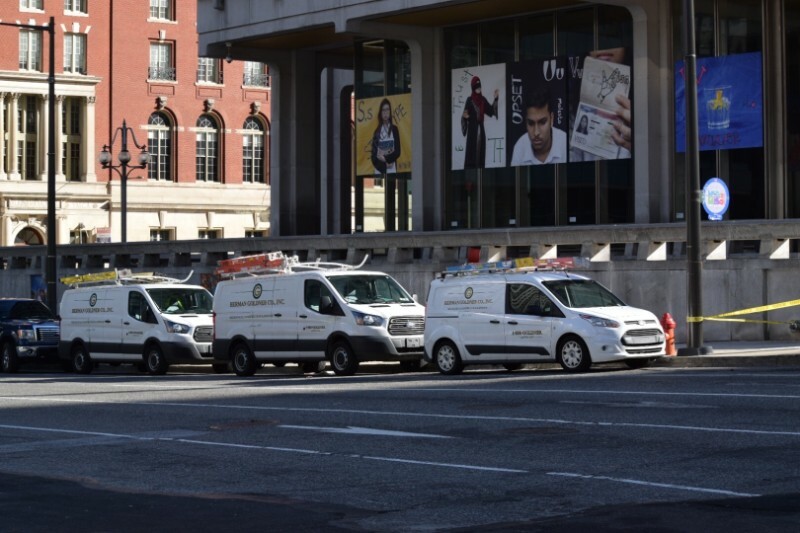 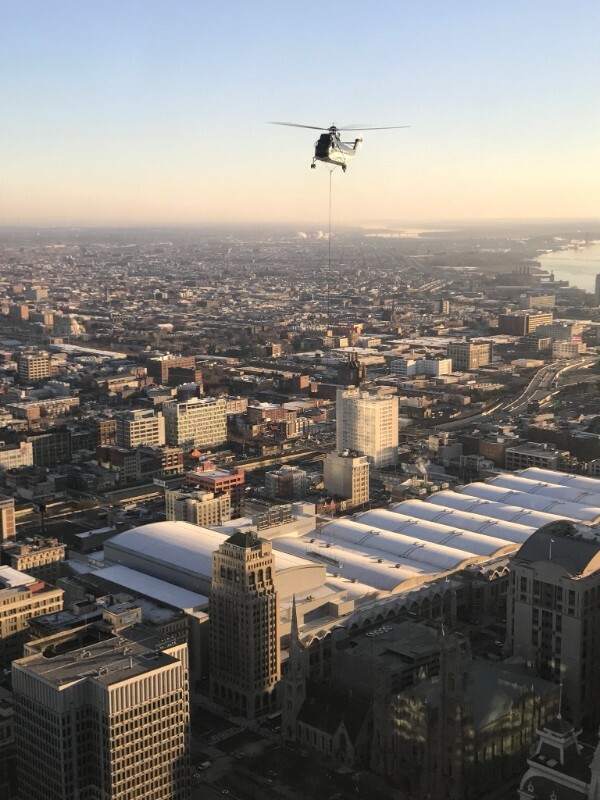 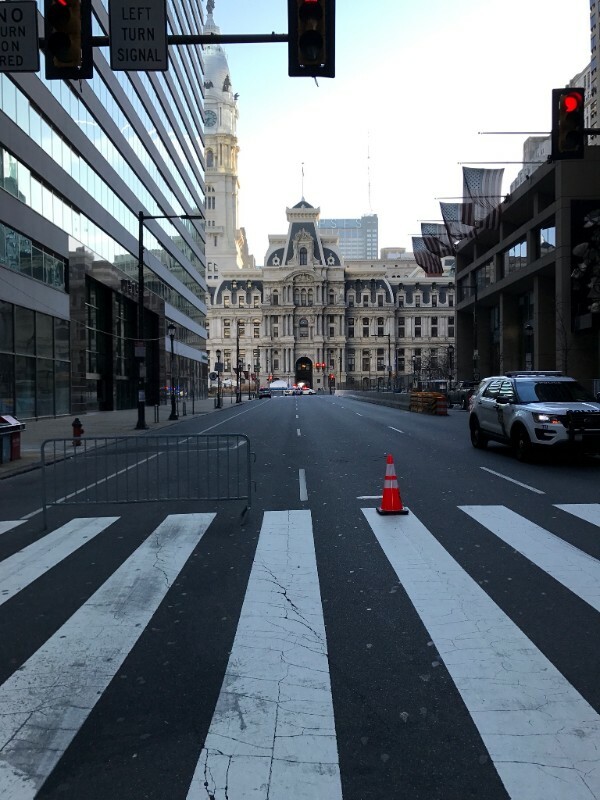 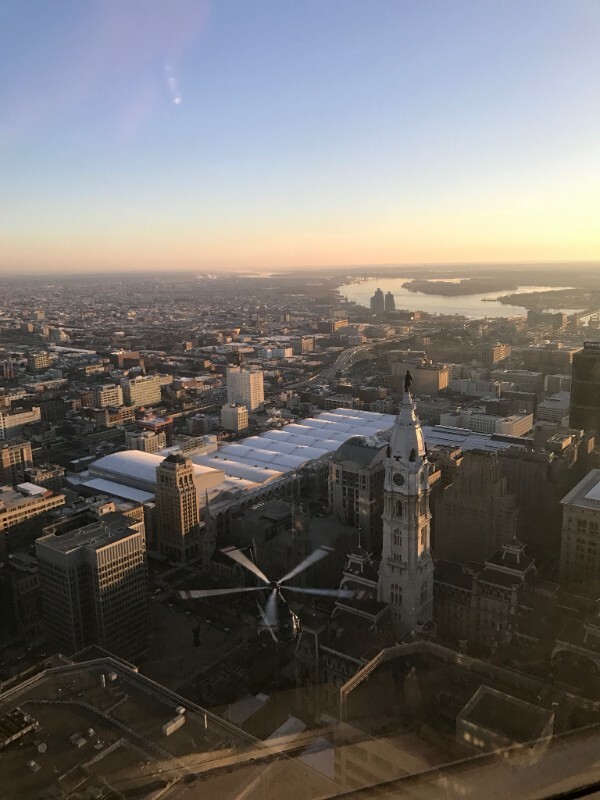 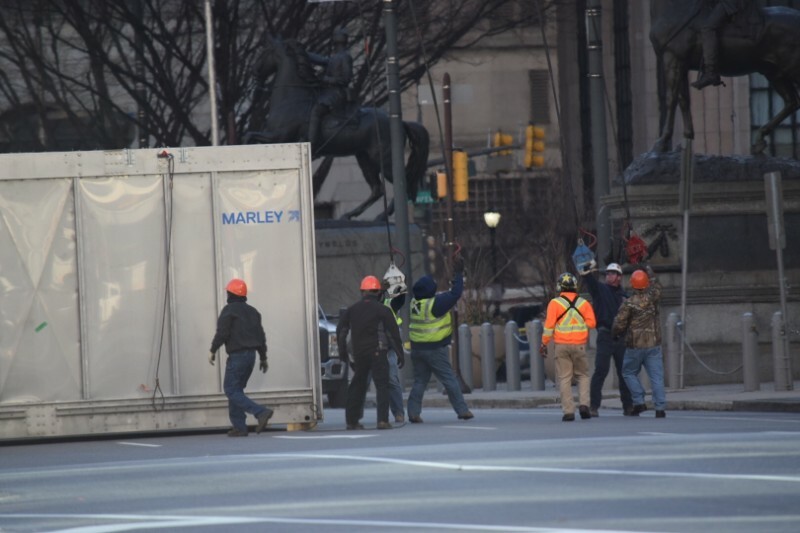 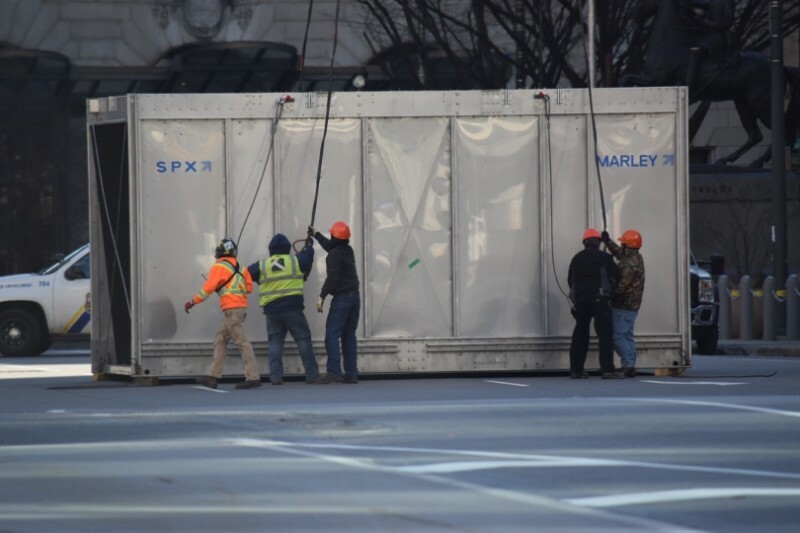 Amidst Philadelphia’s busy season of Christmas shopping and Eagles mania, Goldner worked alongside Dyna-Tech Sales Corp, Thackray Crane Rental, and the Philadelphia Police and Streets Departments to complete this challenging task. 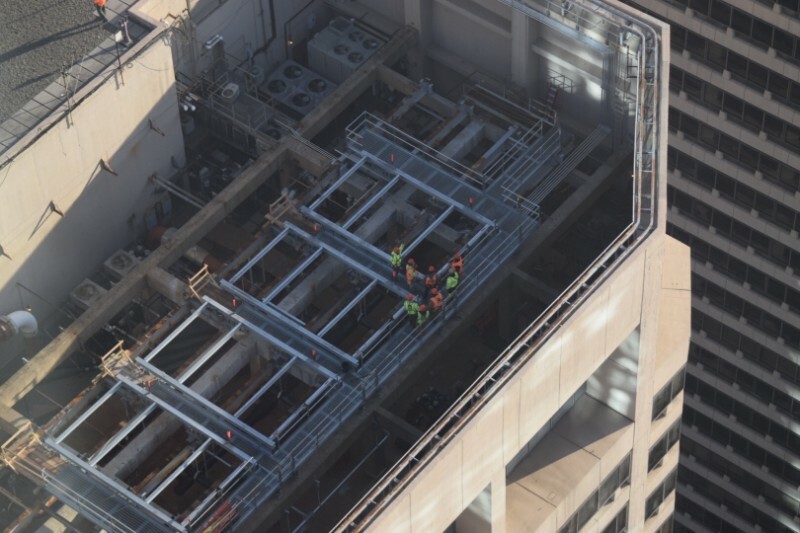 This project was awarded to Goldner due to prior relationships with the building’s owner, Nightingale Realty. 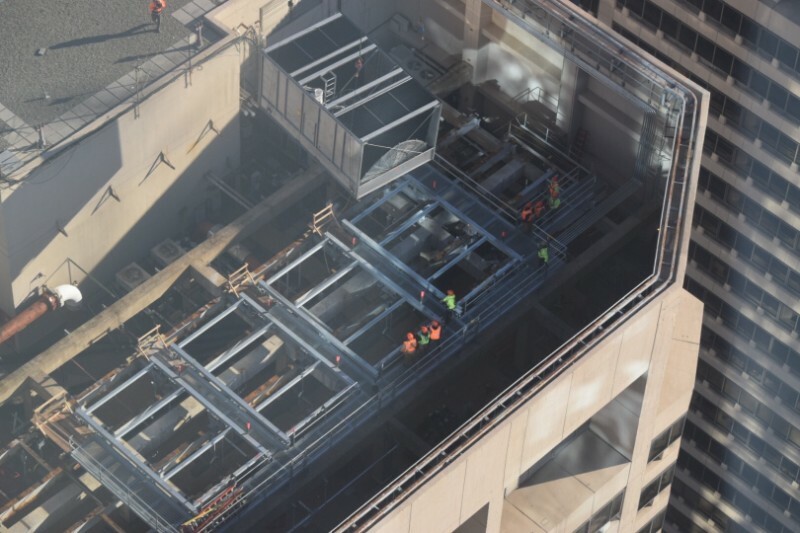 Nightingale’s National Director of Operations, Michael Murray worked closely with the team throughout the project. 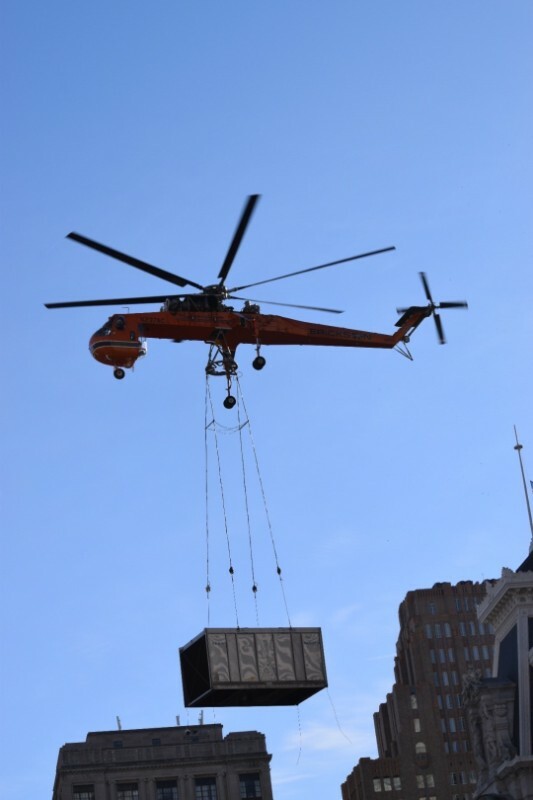 The size of the building was a daunting obstacle for the team that would prove to be the biggest challenge. 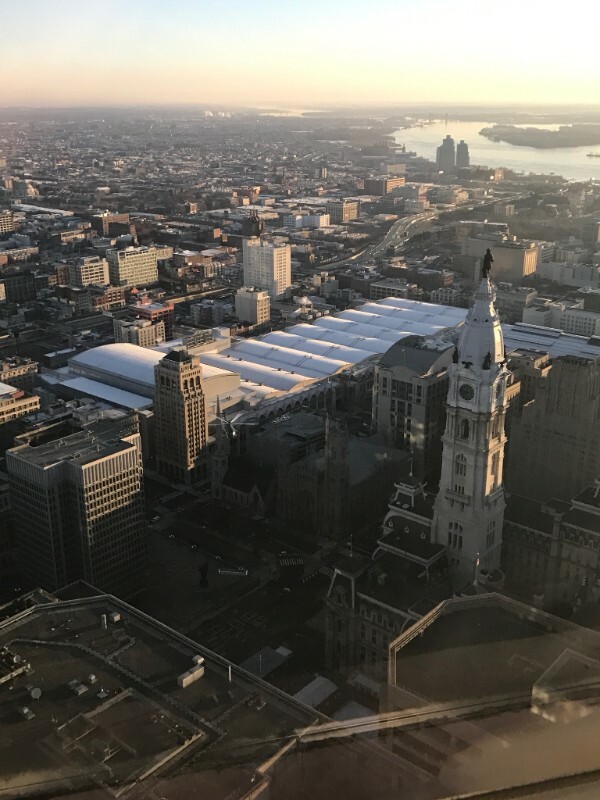 Centre Square is Philadelphia’s tallest office building at over 400 feet tall, making it difficult to remove the existing units and install the replacement towers. 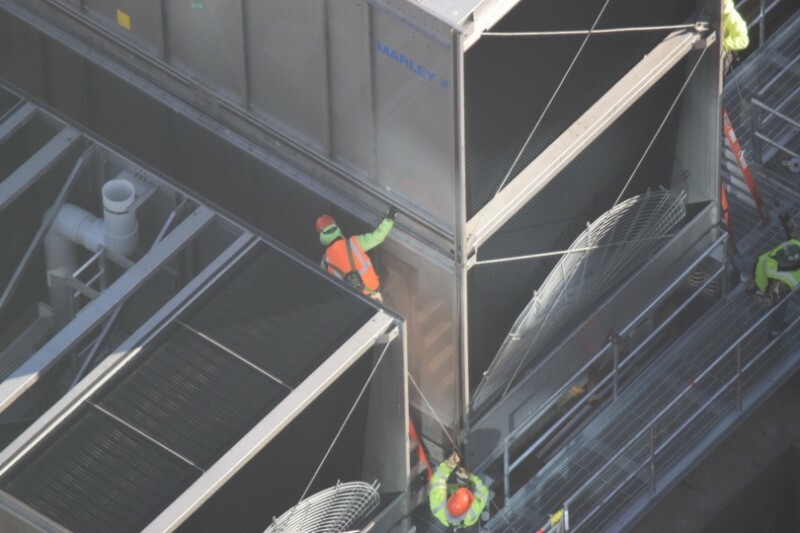 Goldner was able to demolish the existing cooling towers by carrying the wooden towers down through the building by-hand. 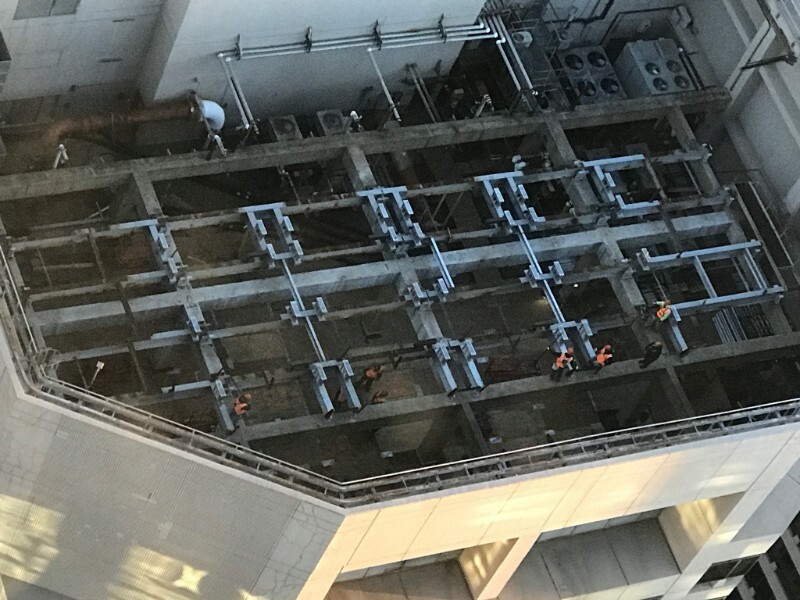 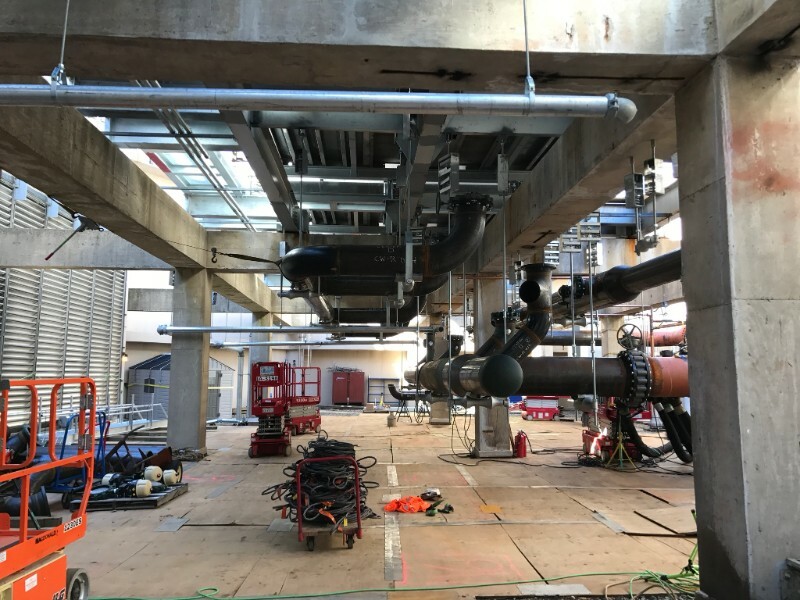 This was no small feat, as dismantled parts had to be removed by freight elevator, while temporary bypass cooling systems were installed to provide cooling during the demolition phase. 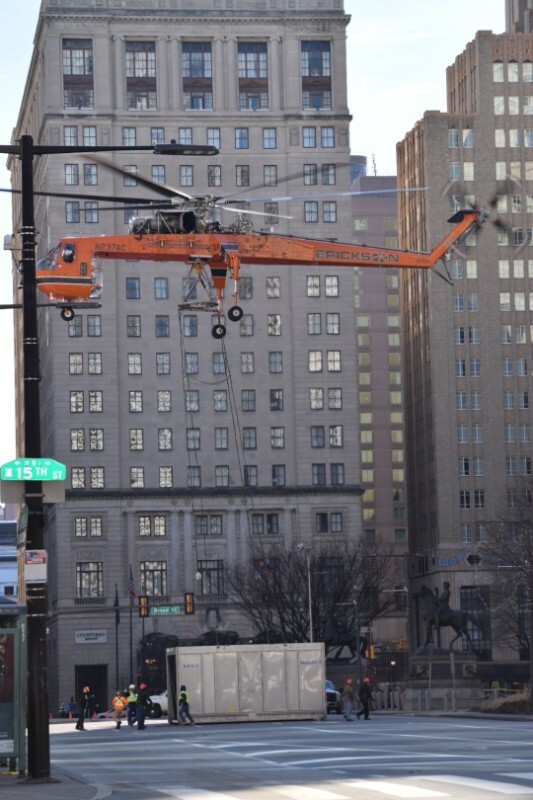 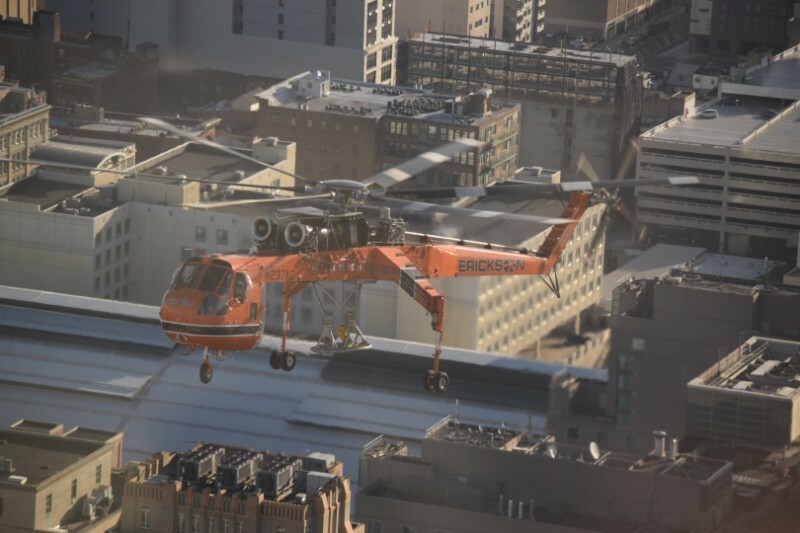 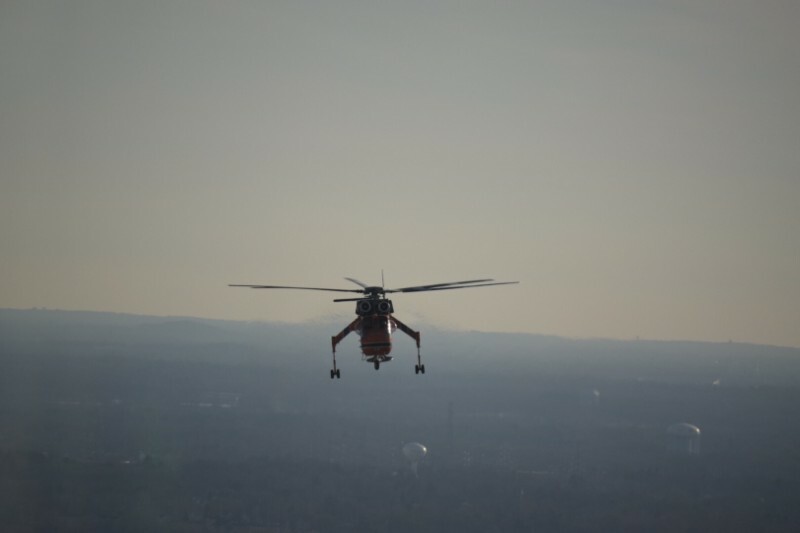 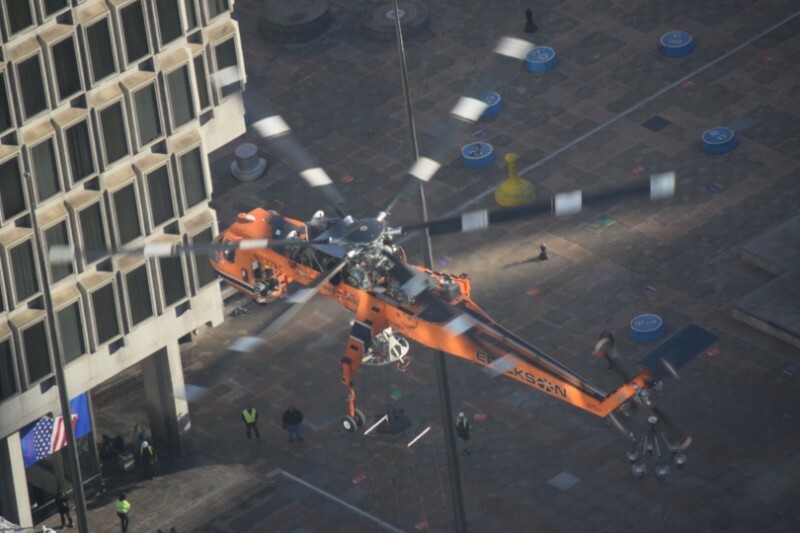 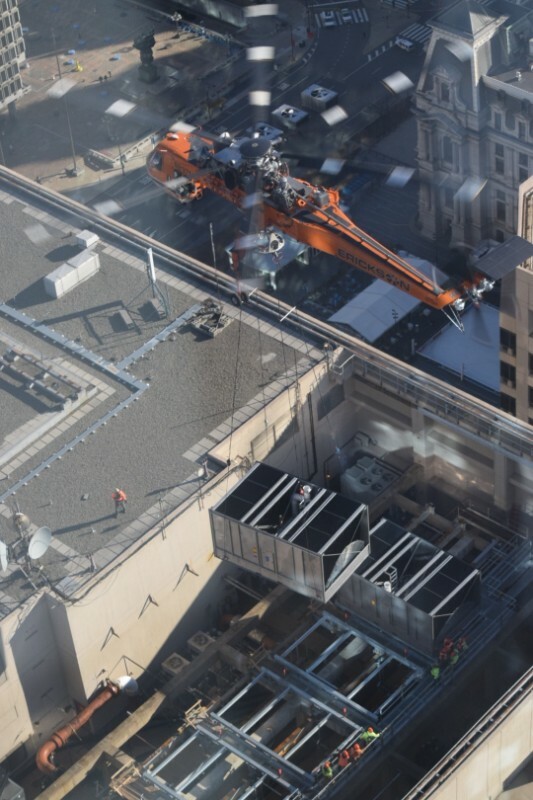 The helicopter was used to carry the 4-cell, 5,000-ton capacity cooling towers to the roof of the building in 2.5 hours. 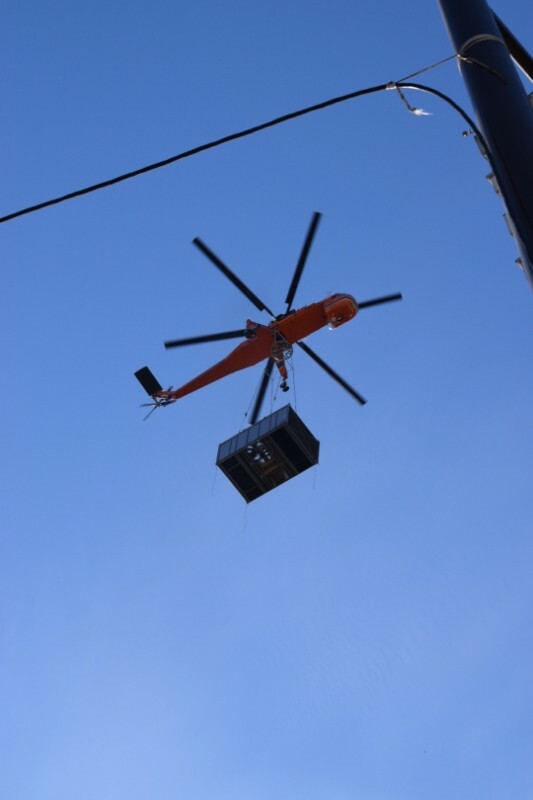 There was a total of 30 helicopter lifts during the project. 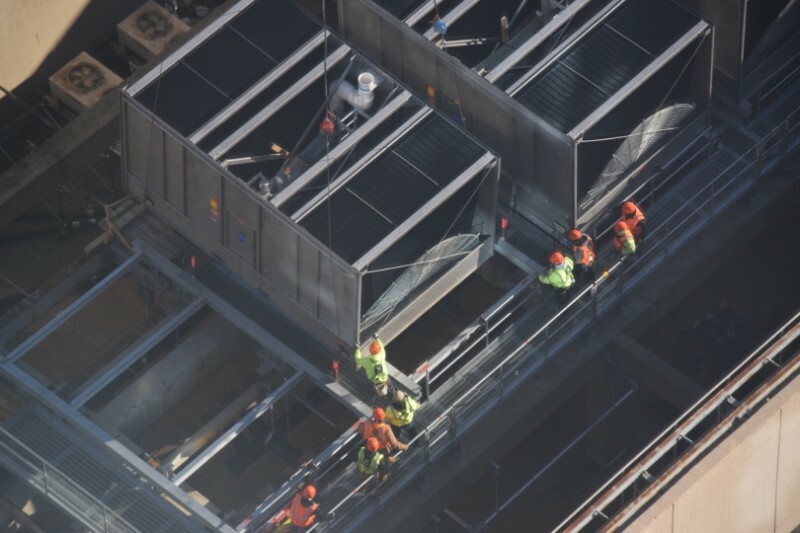 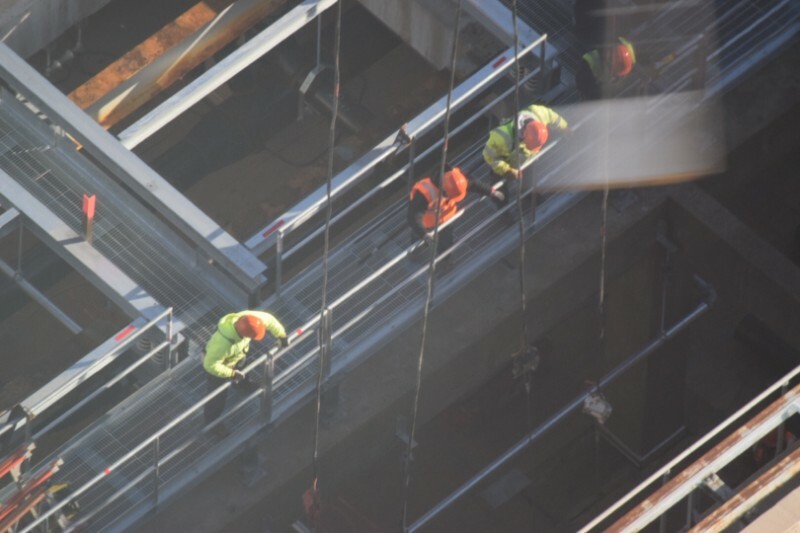 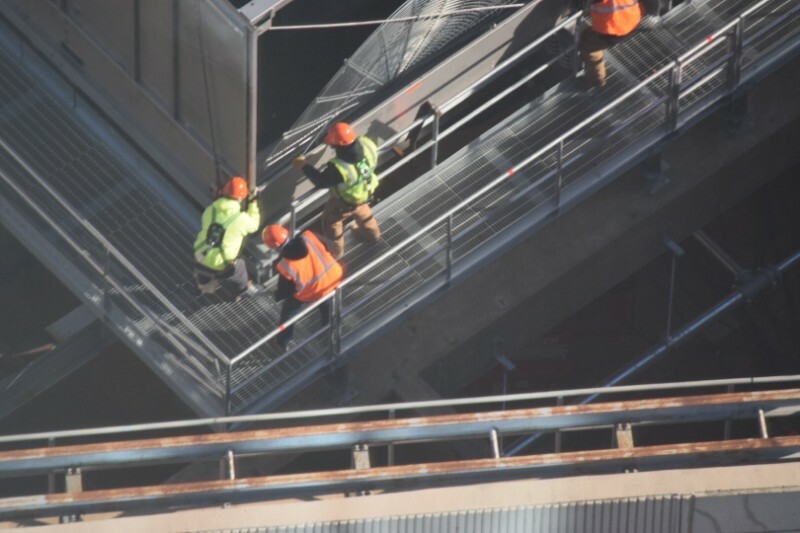 The first group of lifts delivered structural steel, walking rails, and other setup materials needed before the major lift. 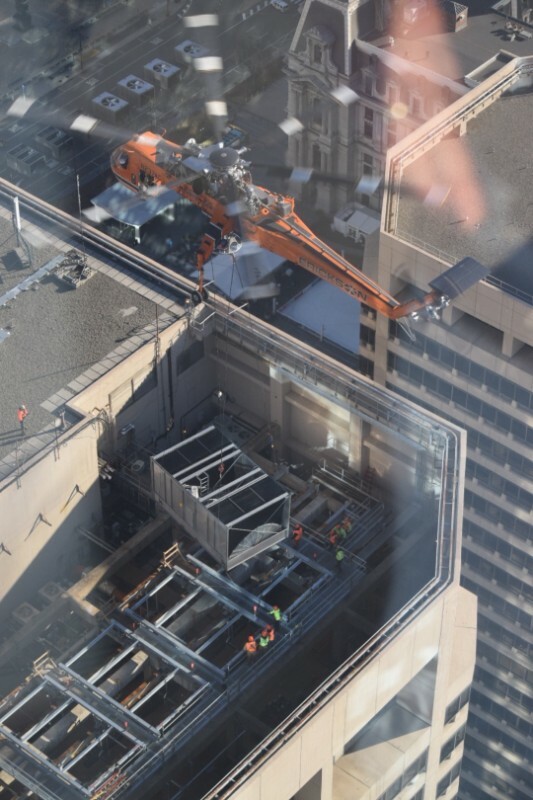 The second run of lifts were able to hold over 15,000 pounds and were used to deliver the new A/C unit. 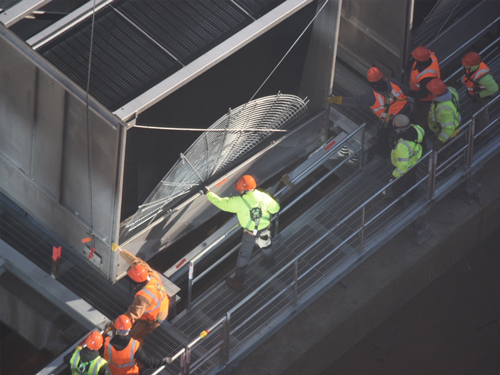 The lifts proved to be successful, on budget and safe for all involved. 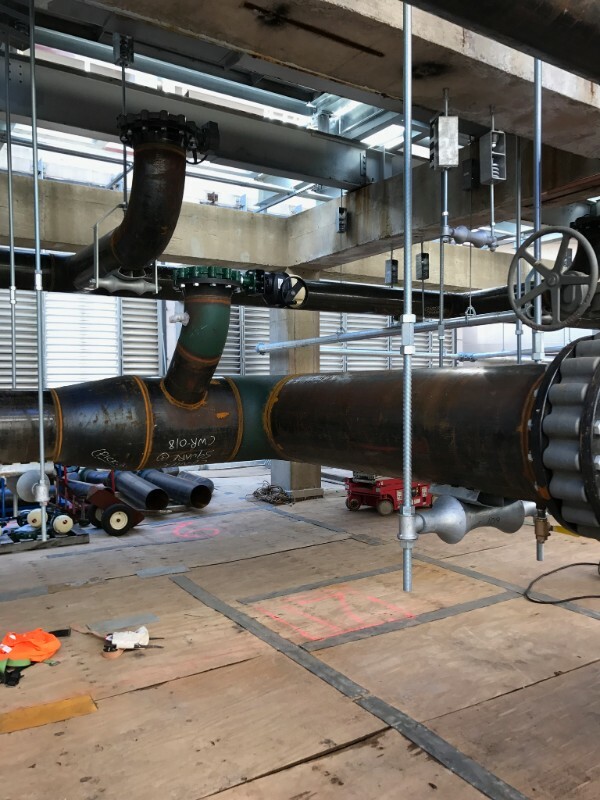 The multi-million dollar project was managed by Andrew Cipollono and estimated by Bob McCracken and Steve Meile. 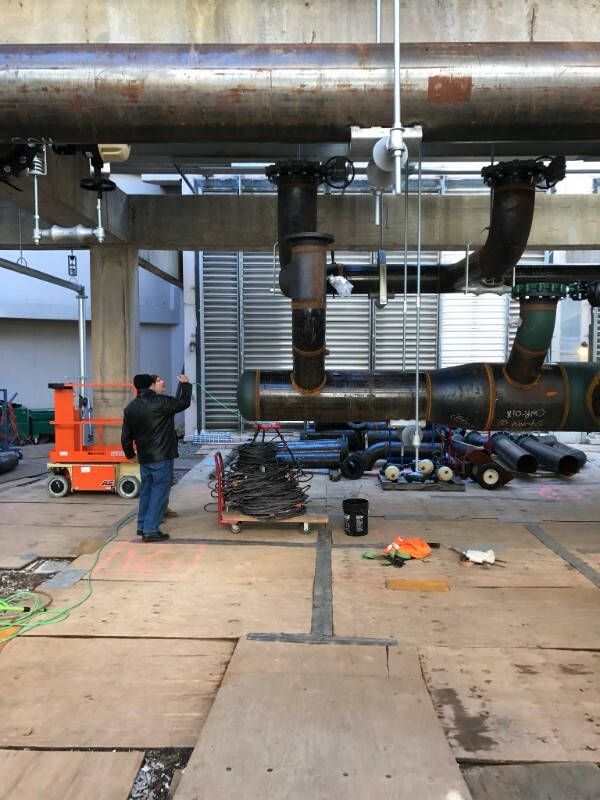 The client received the project very well, praising Herman Goldner for their transparency, seamless operation, and lack of tenant disruption during the project. 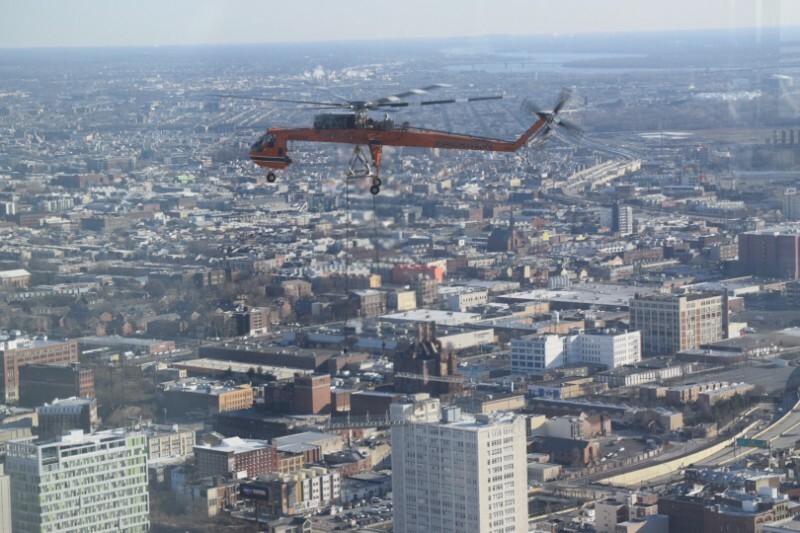 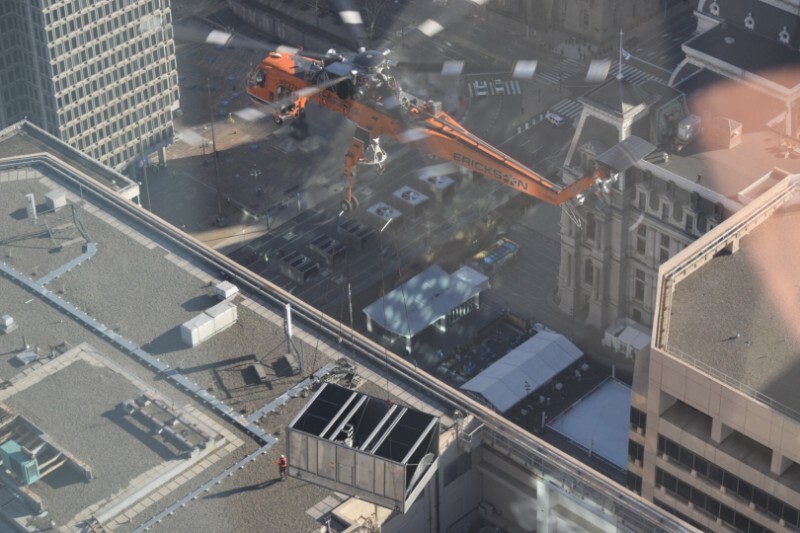 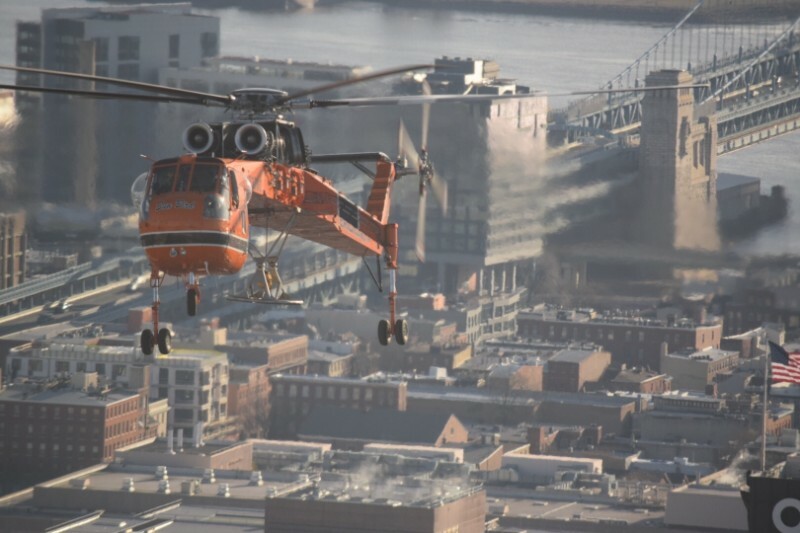 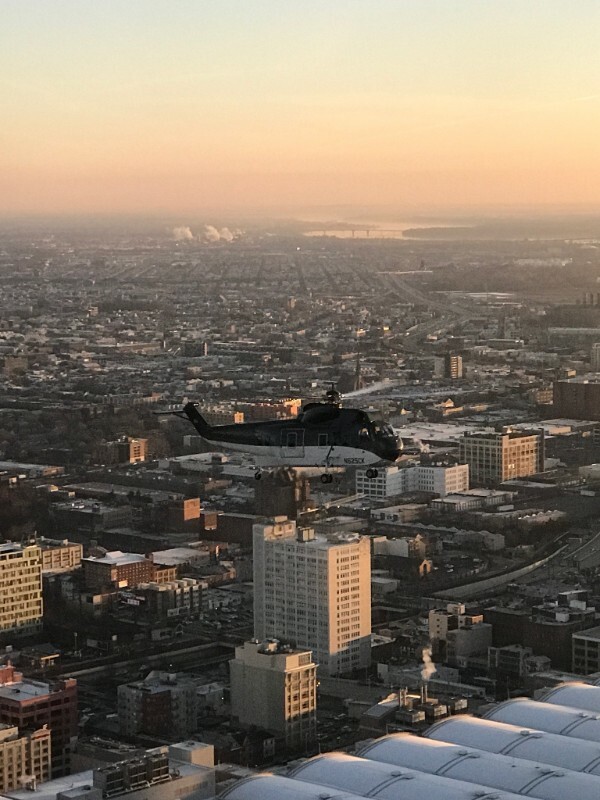 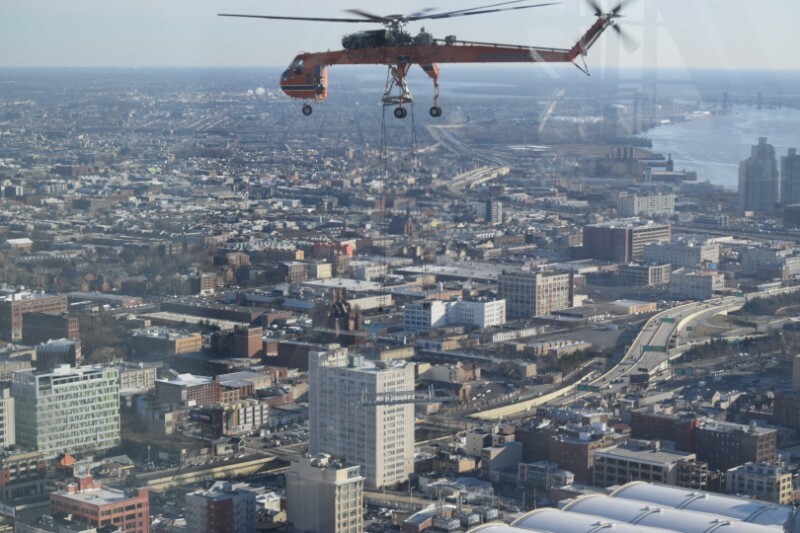 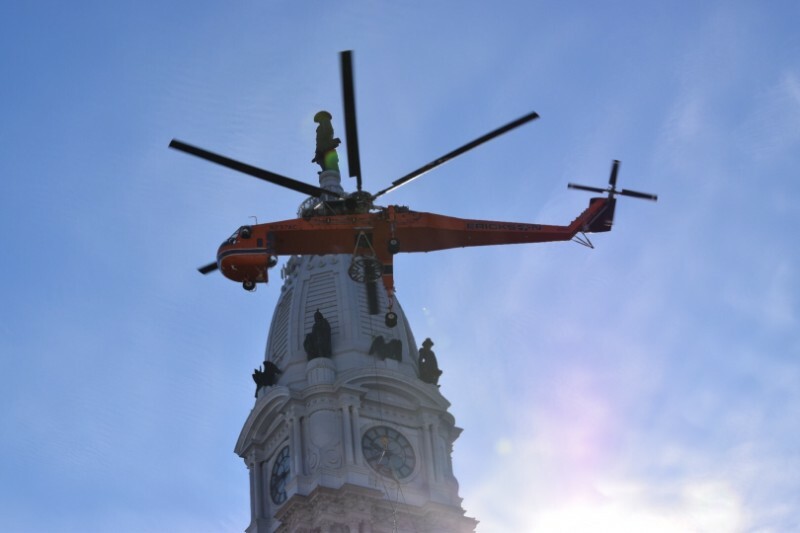 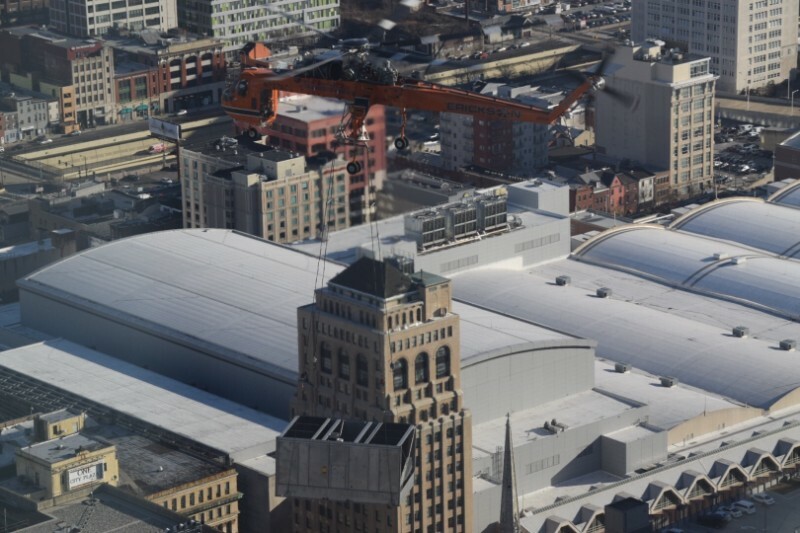 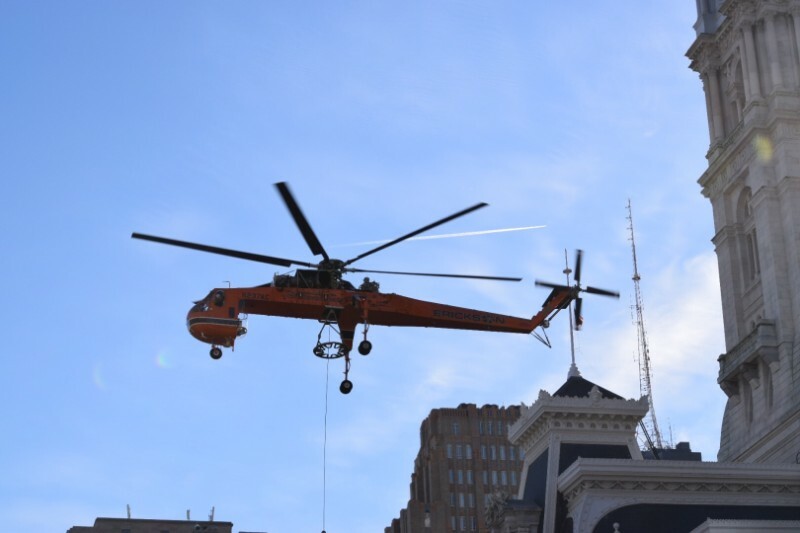 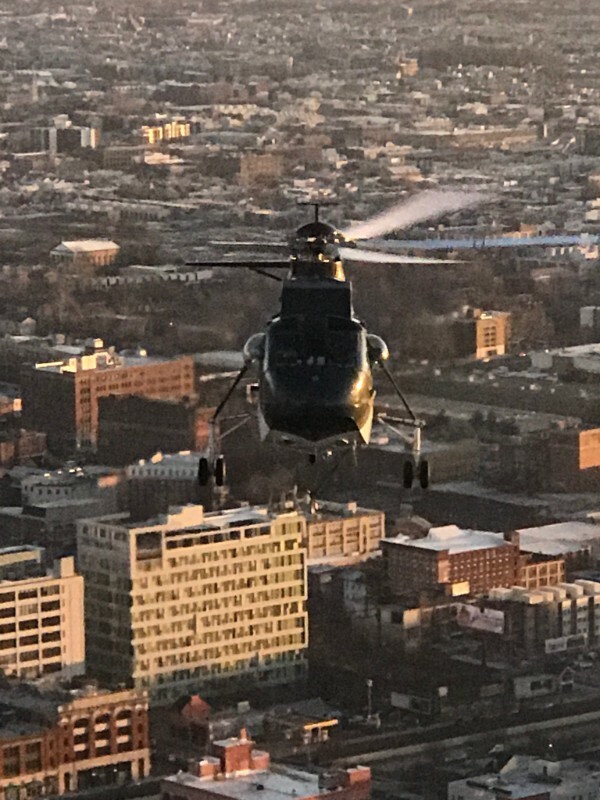 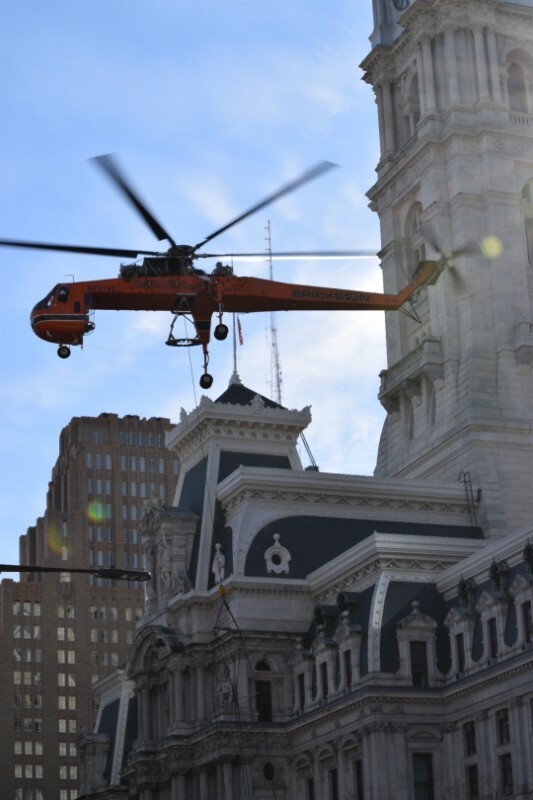 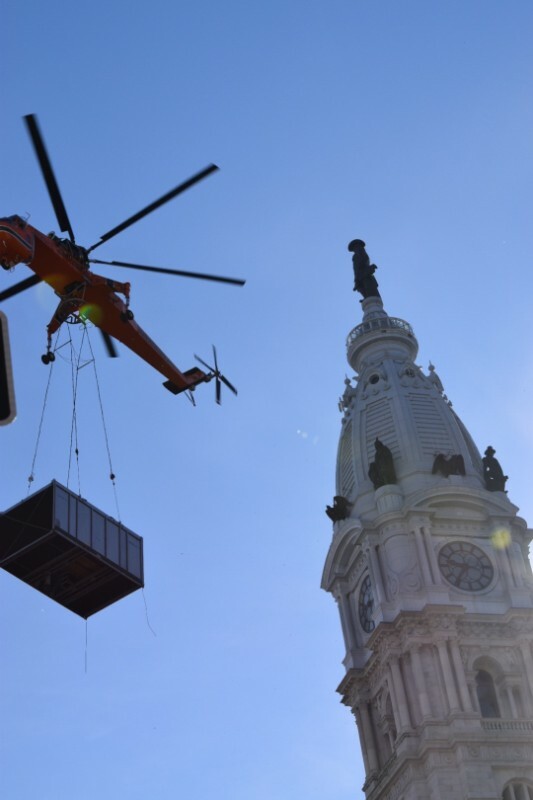 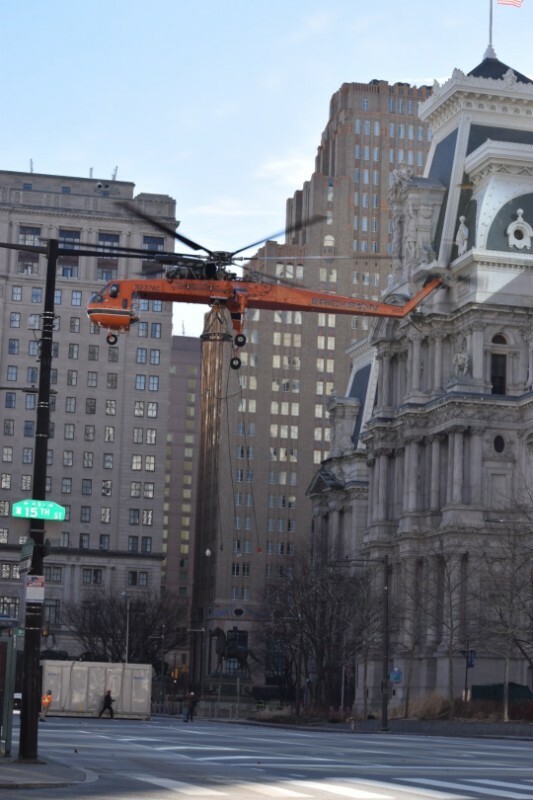 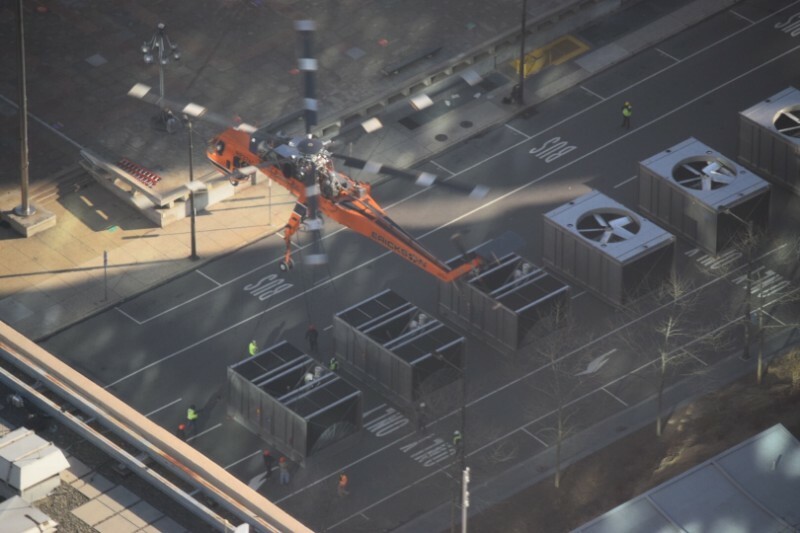 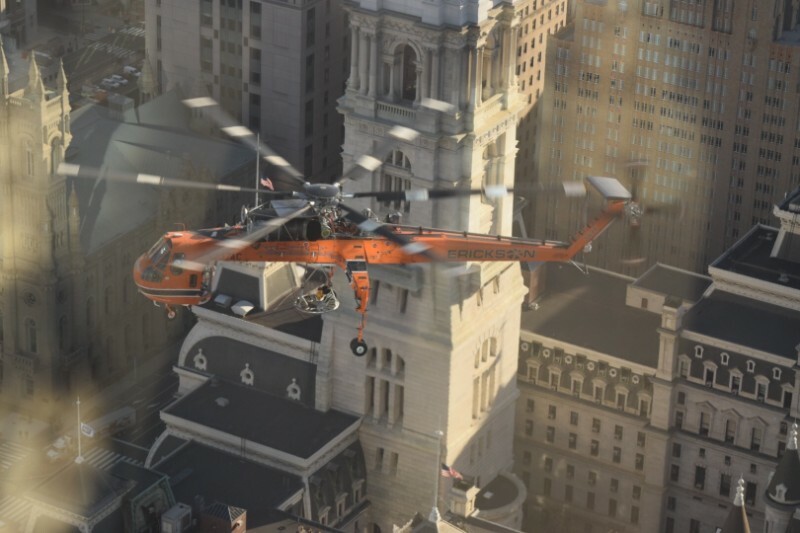 As mentioned previously, the project could not have been successfully completed without the help of Dyna-Tech Sales Co., SPX Cooling Technologies, Thackray Crane Rental, Trefz Engineering, Cippco Inc., The City of Philadelphia, CHI Aviation, Erickson and Nightingale Properties.